brockpierce1 BP SelectionssteemCreated with Sketch. Thank you for continuing to build solutions and work on projects which can increase freedom and well being in the world. Since moving to Puerto Rico, I’ve enjoyed hearing from people who have worked with you directly and have great respect for how you decide which projects to support and the many things you do. Also very cool to see a link to the eosDAC custodian board. That’s what we’re hoping to see more of in the world: decentralized, distributed consensus determined by those with skin in the game. 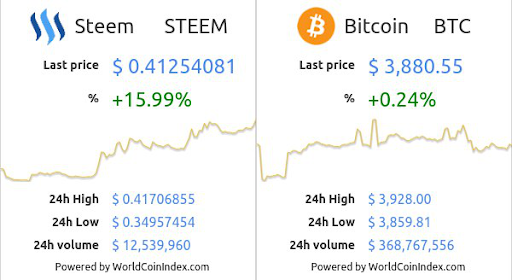 Yeah Hey @brockpierce check out Steem Pumping 16% since you joined, I bet this was from you buying up all the steem on the exchange that you're about to Power Up right? Honestly these are all great visions. Thanks for dropping your thoughts here. Is this the EOS hype guy? I’m big fan of you and your philosophy! Because Your definition of billionaire, I went all in with STEEM almost 10 months ago. Thanks a million for positively impacting my life and can’t wait to meet you in person this year!! what's your opinion on censorship & account bannings from main net? I see you're voting for eos42, they're supporting a proposal to void private keys on-chain. I started recently seeing how more and more people let the FUD and negativity go away and embrace EOS. 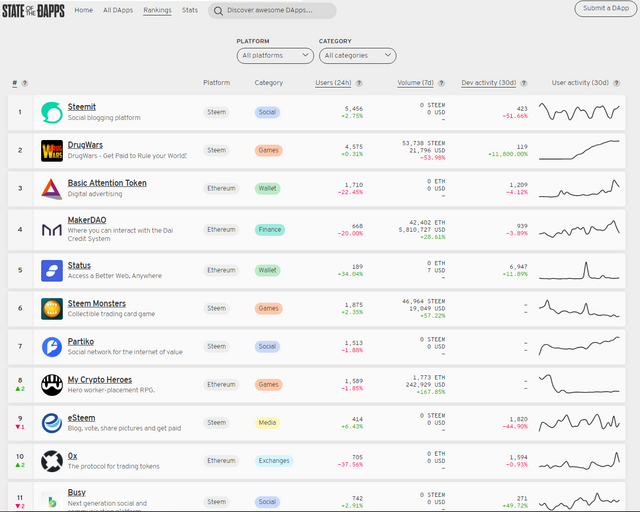 I really hope Brock does have something to do with the price in steem going up because I predicted EOS integration with steem would push steem price up there with EOS price (Since there are around 1/3-1/4th the amount of steem there are EOS tokens. 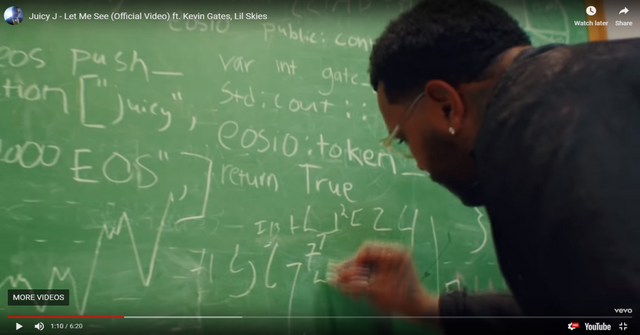 OH YEAH and @brockpierce check out this latest Juicy J Music Video where he shows off a chalkboard with EOSIO tokens AND has the Everpedia Guy at the very end of the video!! 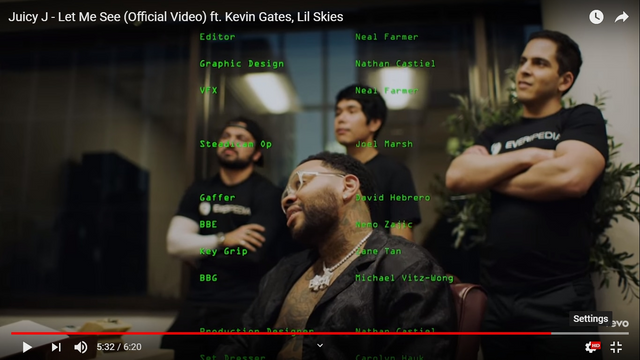 Kevin gates with Everpedia guys with IQ Token at the end of the video! There is a lot of great information in this post. I've never seen a breakdown like this before. Thank you @brockpierce. Welcome back @brockpierce, Nice to see your intro, i think you Will be amazed about the power thats here since 2017. Better late than never, welcome! Welcome @brockpierce! I am Zainenn, a dtuber. Great to have you here on the Steem Blockchain! Enjoy all the great dApps we have to offer! @dtube @partiko are my personal favorites! This is a great set of BPs to know about! While I haven’t really engaged with that protocol very much, I have a vested interest to see it succeed which is why I ensure I put my votes to work when I can. I will review these names against my votes to see if anything has changed! Thanks for sharing! Hope my Puerto Rico is treating you well! Nice to find you here on STEEM! Great to see you on Steemit! Glad to see the crypto community works together and not against each other, that's definitely the future happening right now. Wish you a great time here. Hopefully can integrate STEEM with EOS especially can just get more RAM with my STEEM or SP. Or a cross-platform DApp running on both EOS and STEEM. That is a killer idea. It's super great to have you here sport! Greetings from Venezuela! Welcome to Steemit sir brockpierce! I hope you have have a pleasant stay here at steemit! Anything is possible, we are the power! 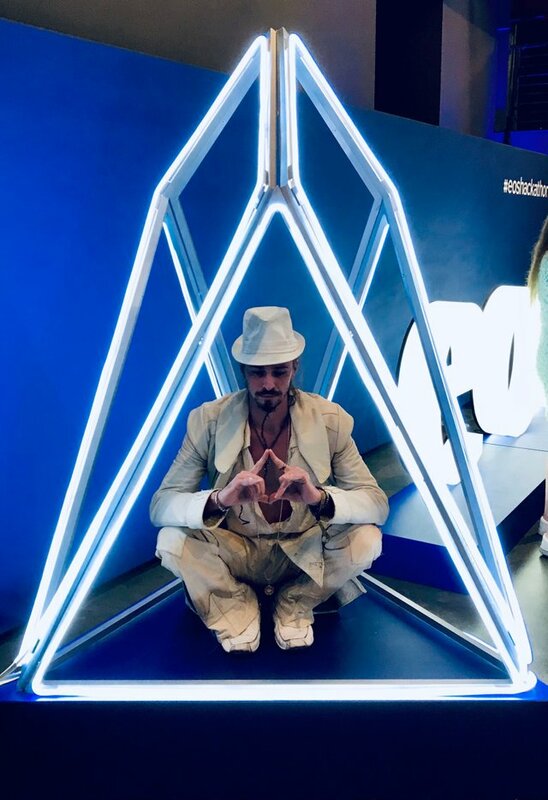 Evolve with love and blockchain! The worm is slowly turning. More freedom today than when I signed on. Congratulations @brockpierce! You received a personal award! I understand 90 percent of you in this post. If you post more beautifully, we will understand better and we can improve. Thank you for posting this type, we want you to be able to improve one day.thank you for continuing to build solutions and work on projects which can increase freedom and well being in the world. Since moving to Puerto Rico, I’ve enjoyed hearing from people who have worked with you directly and have great respect for how you decide which projects to support and the many things you do. Oye Muchas gracias por este Post, Realmente es bueno ver como personas les interesa informar a otros de como puedan ganar. Muy ilustrativo muchas gracias.. Ledger launch the #Ledger15days contest and let you know that you have a chance to win the new Ledger Nano X. You can click the following link to enter the contest. Welcome Brock! I am a big supporter of EOS, especially over the next 10-20 years. Thanks for the great post about the block producers. Welcome to Steemit... you are going to Love it here... 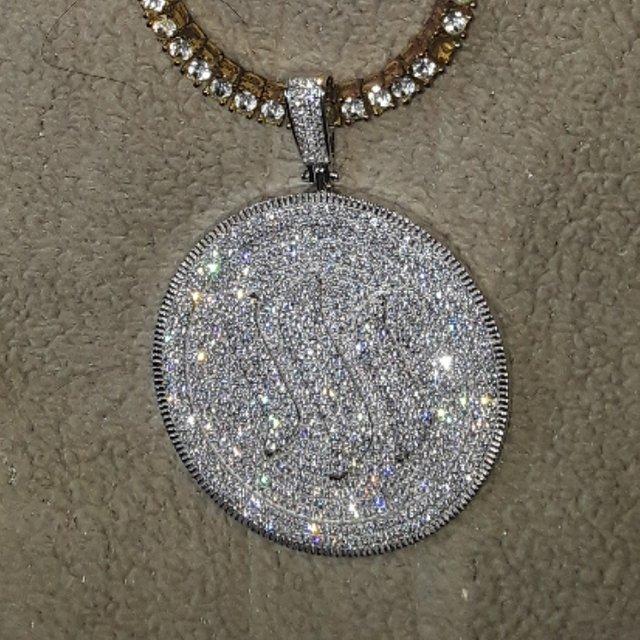 I made $40,000 in my 1st 6 months. You should also check out the Partiko app as a way to post here .... you earn extra Steem : https://partiko.app/referral/offgridlife, you will get 3000 Partiko Points for sign up bonus, and you can exchange them into Steem token! You're here!!!!!!!! I'm maybe you and Crystal's biggest fan! Thanks for everything you do. nice to have a quick overview of the EOS BP and their team. is there any sort of performance benchmark or KPI that ranks them ? welcome ! and steem on ! That's very cool to see a link to the eosDAC custodian board. That’s what we’re hoping to see more of in the world: decentralized, distributed consensus determined by those with skin in the game. Promoting other cryptos on the steem blockchain, welcome! The steem blockchain is a blockchain media space. Put all your promotional article here. About 99.11$ has been spent to promote this content.